4k00:15Woman tourist walking on the top of mountain in summer sunny day under sun light. Beautiful mountains landscape view. Aerial View Drone 4K Video. 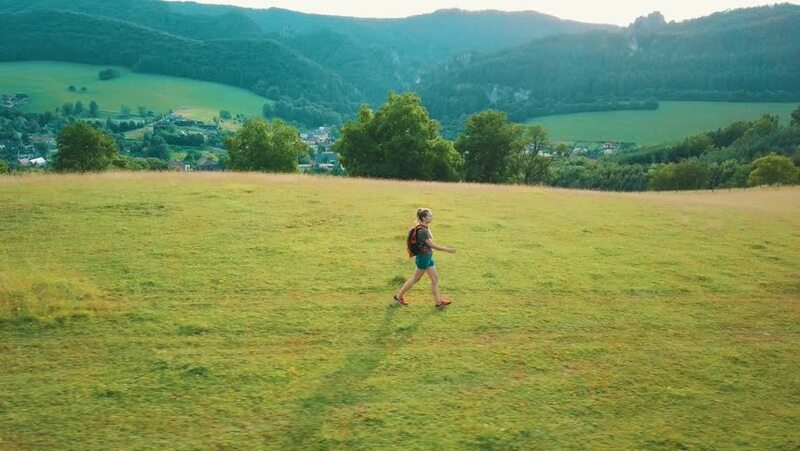 4k00:35Woman with a red backpack hikes up on the mountain. 4k00:12Runner going fast uphill on a cross country path. Drone side view. Concentrated athlete sportsman achieving life goal.